As a performance and installation artist, my interest in audio is about asking questions about who we are as a culture. Storytelling and dialogue are compelling as I consider character and seek out ways to explore interior/intangible environments: I believe that I am who I am because of those around me. Stephanie Yee is a multidisciplinary artist and cultural worker living and working in Halifax, Nova Scotia. 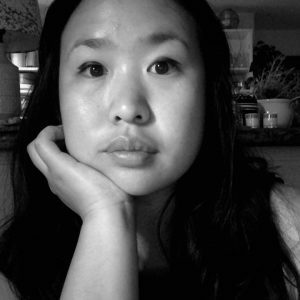 Graduating from NSCAD University, Yee has exhibited as an artist and curator in artist-run centres, festivals and galleries both locally and internationally including the Anna Leonowens Gallery, Prismatic Arts Festival, HERMES, Struts Gallery, The Khyber Centre for the Arts, as well as La Mama Galleria, The Cooper Union School of Art and Family Business Gallery. in New York City.